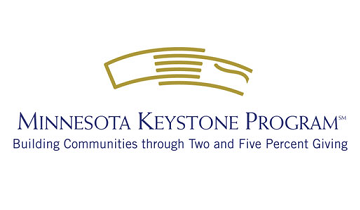 The Minnesota Keystone Program recognizes and honors companies that donate at least 2 percent of their pre-tax earnings to the community. Companies can qualify if they have an operating presence in Minnesota and donate at least 2 percent of their pre-tax earnings to 501(c) 3 organizations through cash contributions, in-kind donations, or employee volunteerism. Participating companies re-enroll each year to make sure there is the most accurate information available.